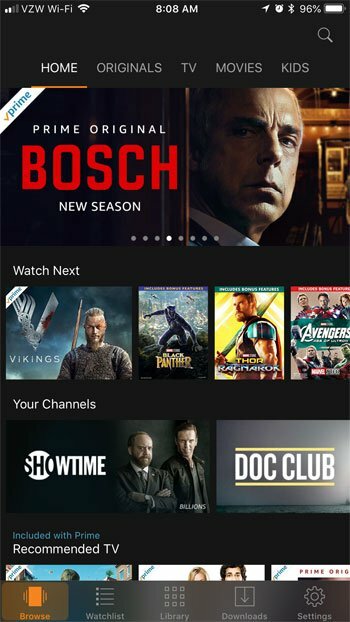 Video streaming in apps like Netflix, Hulu, and Prime Video has become very popular, and each of those services have iPhone apps that make it easy to stream movies and TV shows while you’re on the go. But video streaming requires you to have a good Internet connection, which can be a problem if you want to watch something when you have a poor Internet connection, or even no Internet connection at all. 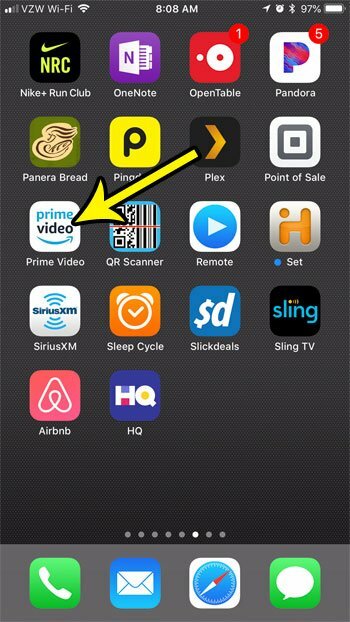 Fortunately some apps, like Amazon’s Prime Video app, let you download videos to your device so that you can watch them even without an Internet connection. 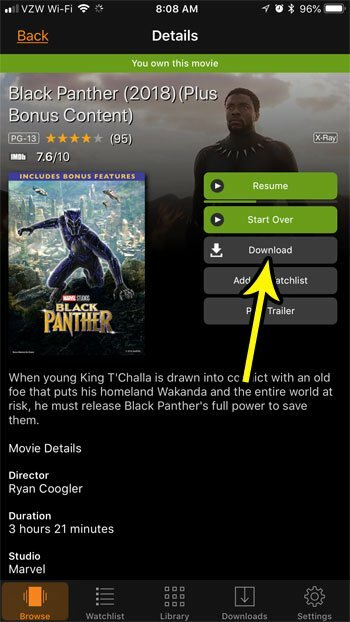 Our tutorial below will show you how to download a movie in Prime Video on an iPhone so that you can watch it while you’re in a car or a plane without worrying that you don’t have good Internet, or that you will accidentally use a lot of data. The steps in this article were performed on an iPhone 7 Plus in iOS 11.3. 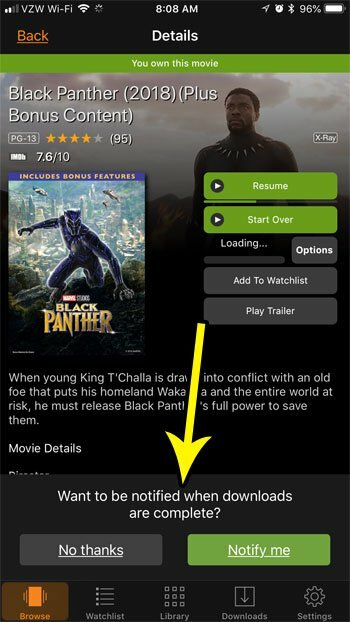 This guide assumes that you currently have a movie in the Prime Video app that you wish to download, and that you have available storage space on the device for that video. Some movies can be quite large, depending on your current download quality settings, so it’s typically a good idea to have at least a couple GB of free space when you wish to download a movie from the Prime Video app. Additionally you may want to download the movie while you are on a Wi-Fi connection, as this download can use a lot of data. Step 1: Open the Prime Video app. Step 2: Browse to the video that you want to download. Step 3: Touch the Download button at the right side of the screen. Step 4: Select whether or not you want the app to notify you when the download is complete. It can take a while for the movie to download, depending on the size of the video file and your Internet connection speed. If you don’t have enough space on your device for the videos that you want to download, then it’s probably time to start getting rid of old and unnecessary files. Find out several ways to clear iPhone space so that you can get the new files and apps that you want.